There have been several research-validated reasons why some develop substance related and addictive disorders during their lifetimes. Many biologic anomalies have been identified in those vulnerable to these conditions. These differences help explain the 30 – 40% lifetime prevalence of addiction in the United States and especially validate addiction to be a biological, psychological, social, and spiritual condition that is generated by a combination of heredity (genetic), environment (epigenetic) and pharmacologic factors that result in the hijacking of the survival mechanism of the brain. This presentation will review some past models of addiction, highlight why addiction is a spectrum disorder that impacts some more than others, and then unify the various causes of addiction into a single model: The Diathesis-Stress Model of Substance-Related and Addictive Disorders. Identify the 2 major circuit of the brain’s addiction pathway and name at least 2 brain structures involved with the “Go” and “Stop” processes of these circuits. Describe at least 4 validated concepts on the causes and development of compulsivity to addictive drugs and process behaviors (i.e. gambling). Describe how neurotransmitters affect compulsivity and cravings and name at least 3 of the most important neurotransmitters involved in these activities. Recognize and explain the 3 facets that comprise the Diathesis-Stress Model of Substance-Related and Addictive Disorders and explain how epigenetic influences like trauma impact vulnerability to develop addiction. 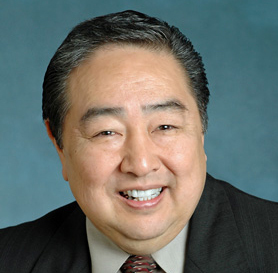 Darryl Inaba, Pharm D, CATC-V, CADC III, is Director of Clinical and Behavioral Health Services for the Addictions Recovery Center and Director of Research and Education of CNS Productions in Medford, OR. He is an associate Clinical Professor at the University of California in San Francisco, CA, and a Lifetime Fellow at Haight Ashbury Free Clinics, Inc., in San Francisco, CA. Darryl has authored several papers, award winning educational films and is co-author of Uppers, Downers, All Arounder a text on addiction and related disorders that is used in more than 400 colleges and universities. He has been honored with over 90 individual awards for his work in the areas of prevention and treatment of substance abuse problems. He is a popular speaker at workshops and conferences nationally and internationally.